Ten days ago the film world was rocked by the news that Walt Disney Studios had fired writer/director James Gunn from the forthcoming Guardians of the Galaxy Vol. 3. The decision came after transgressive Tweets by the director from 2009-2012 were unearthed, Tweets which previously stirred up controversy back in 2012. Now the entire main Guardians cast, namely Chris Pratt, Zoe Saldana, Dave Bautista, Bradley Cooper, Vin Diesel, Karen Gillan, Sean Gunn, Pom Klementieff and Michael Rooker, have written an open letter showing their support of having James Gunn reinstated as director of Guardians of the Galaxy Vol. 3. Keep checking back to ComingSoon.net for more developments in the fate of Guardians of the Galaxy Vol. 3. (CNN) — The "Guardians of the Galaxy" cast has issued an open letter in support of ousted director James Gunn. 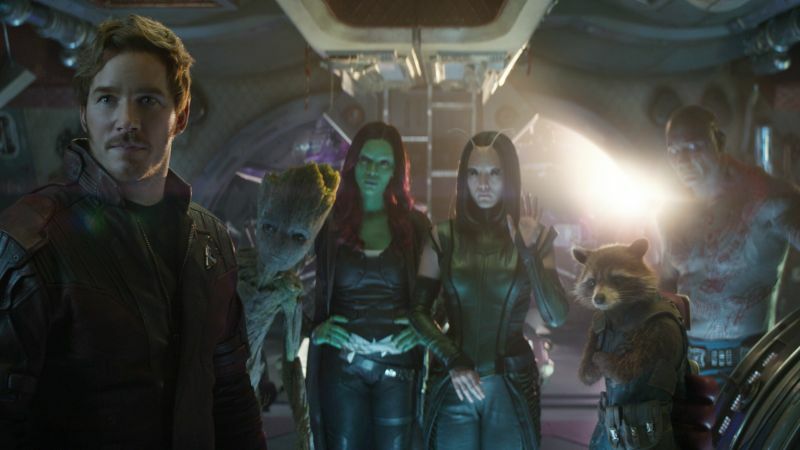 The cast -- including Chris Pratt, Zoe Saldana and Bradley Cooper -- said in a statement released Monday that they were "shocked" by the director's "abrupt firing" last week from the third installment of the franchise and have "been encouraged by the outpouring of support from fans and members of the media who wish to see James reinstated as director of Volume 3." Disney parted ways with Gunn after a number of offensive tweets of his from the past resurfaced. The director's tweets began making rounds after conservative blogs highlighted the years-old statements, which made references to pedophilia and molestation. The Walt Disney Studios chairman Alan Horn called Gunn's comments "indefensible and inconsistent with our studio's values" in a statement announcing Gunn's termination. Gunn said he accepted Disney's decision and apologized for "the way I conducted myself." "All I can do now, beyond offering my sincere and heartfelt regret, is to be the best human being I can be: accepting, understanding, committed to equality, and far more thoughtful about my public statements and my obligations to our public discourse," he said in a statement. In wake of his exit from "Guardians," Gunn has found several supporters in Hollywood, including Selma Blair and comedian Patton Oswalt. Saldana, Pratt and fellow cast member Dave Bautista previously acknowledged the controversy on social media, but the cast letter marks the most notable show of support for Gunn yet. "We cannot let this moment pass without expressing our love, support and gratitude for James," the cast said. "We are not here to defend his jokes of many years ago but rather to share out experience having spent many years together on set making Guardians of the Galaxy 1 and 2." The cast added, "The character [Gunn] has shown in the wake of his firing is consistent with the man he was every day on set, and his apology, now and from years ago when first addressing these remarks, we believe is from the heart, a heart we all know, trust and love." The statement also seems to acknowledge an effort by some conservative blogs to target Gunn, a vocal opponent of President Donald Trump. "There is little due process in the court of public opinion. James is likely not the last good person to be put on trial," the statement said. "Given the growing political divide in this country, it's safe to say instances like this will continue, although we hope Americans from across the political spectrum can ease up on the character assassinations and stop weaponizing mob mentality." Gunn has not commented on the cast letter. "In casting each of us to help him tell the story of misfits who find redemption, he changed our lives forever," the cast's statement added. "We believe the theme of redemption has never been more relevant than now." Karen Gillan, Sean Gunn, Vin Diesel, Pom Klementieff and Michael Rooker also signed the letter. "Each of us looks forward to working with our friend James again in the future. His story isn't over -- not by a long shot," the cast members said.